The heavens have parted and the angels are singing on me. Or at least that's what it felt like when I read that I could get Sprouts Groceries delivered by Amazon Prime Now! You guys, it's literally 107 degrees outside and if you think I'm dragging three kids to the grocery on summer break in this weather then you have another thing coming! 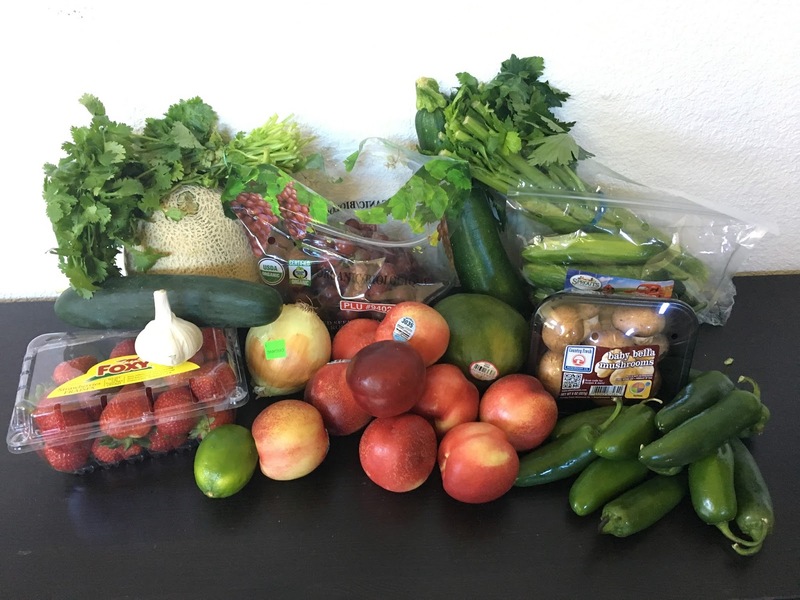 This was the PERFECT time for some grocery delivery! I'm no stranger to ordering groceries. I've used Safeway delivery before and Raley's eCart but there minimums are a lot higher if you don't want to pay a fee and I really never feel like paying for a fee. I will say that the one thing that these services have that the Amazon/Sprouts doesn't offer is a note section for preferences. For example, we need green bananas because my hubby and daughter will eat only eat green bananas and I really like crunchy nectarines and plums. I decided I wanted to try the service anyhow because I wanted to know what the produce would be like. I've ordered twice so I could thoroughly review it for you. You have to have the Amazon Prime membership to use Amazon Prime Now. Honestly, I'd pay for Prime just so I could use Prime Now but we also use it when we order online. You also have to be in an Amazon Prime delivery zone. My first order was a lot better than I expected. I ordered on the Amazon Prime Now app. The ordering is a little confusing. Some items are sold by the piece, some are sold by the pound, some are sold a fraction of a pound, and some are sold in bunches. You just have to really pay attention to the wording. It also helps if you are familiar with Sprouts products. I ordered the little cucumbers and crossed my fingers that I was getting what I had seen in stores and it was the correct product. This order was placed late at night and then scheduled for delivery for the time slot 10am-12pm. It arrived around 11:40am. There were a few products I was weary about. I ordered the white nectarines at $.99/pound but there were other nectarines for $.75 each also I ordered 1 pound of jalapeños for $.25 and fully expected to get 1 jalapeño since that seemed a little low for a pound. I was VERY PLEASANTLY surprised when my order came with 3 pounds of nectarines and 1 pound of jalapeños. I did get a text message that they were out of the white onions I ordered and would be giving me a yellow onion instead. I didn't get the text in time to say differently but I was fine with it. Overall, there were a few small things I would have done differently if I hand picked these items like picked firmer looking strawberries, the mango was an odd shape but that's no big deal, some of the nectarines were a little bruised, and celery a little smaller than I'd pick but nothing MAJOR. We will definitely still eat it all. I decided to place a second order before I wrote a review because I like to be thorough. Also, I wanted to know if you could combine Sprouts stuff into a regular order from Amazon Prime Now and have it delivered together. The answer is NO. You have to order $20 minimum in just Sprouts items to get the Sprouts items delivered through Amazon Prime Now. This order was placed around 6pm and was scheduled for the 8pm-10pm window. It arrived at 8:50pm. For my second order, there were a few things I needed to re-oreder since we have a family of 5 and food goes pretty fast around here. I re-ordered 3 pounds of white nectarines and strawberries. I ordered a bunch of different items this time including milk. I was not as happy this time with the products but there were some pluses too. The strawberries were a lot fresher and the order came faster. There were a lot of things I didn't like. They were out of tomatillos and they didn't have a replacement so they didn't charge me for them. However, I think since they were $.15/pound on the app they didn't give them to me because they were priced wrong. That is just a guess. I could be very wrong. This time instead of giving me 3 pounds of nectarines which was the SAME price from the order before and had not been changed on the app, they gave me 3 small and bruised nectarines. Instead of 1 pound of small navel oranges they gave me 1 large navel orange which might be 1 pound but I wanted the smaller oranges for the kids. Instead of 1 pound of Roma tomatoes, they gave me 1 Roma tomato. I sent a message to the app and the person who responded was very apologetic and gave me a refund. I appreciated the quick customer service and even if it was a form email, it was very apologetic. 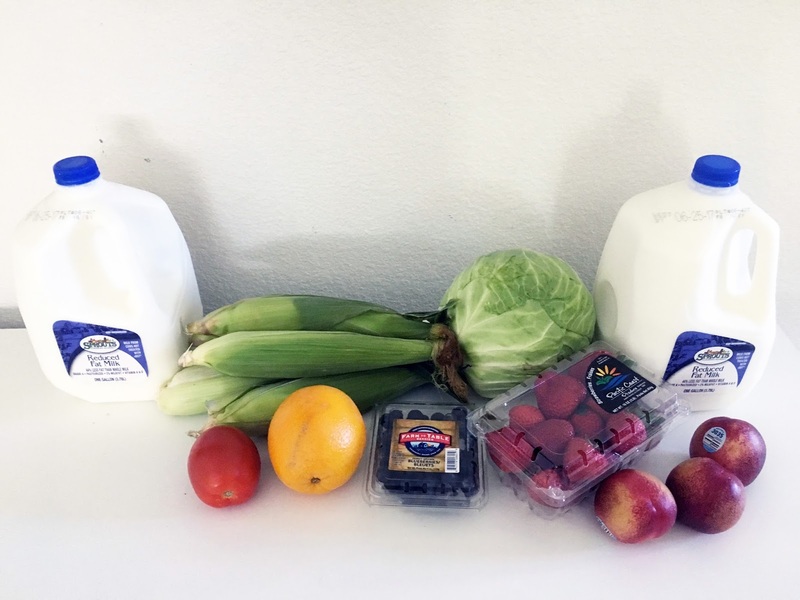 The next morning, I looked further at the produce as I was moving things around and I found more disappointments. The corn was tiny and when I looked in the husk, they had large areas of bare cob. We had to throw half the blueberries out since they were moldy. I understand that these things happen and the person didn't look inside the blueberry container or in the corn husks and this was purely accidental and the nature of produce. Realistically, I think that my orders are just indicative of produce. Sometimes you go to the grocery store and certain things don't look as fresh as you'd like or everything is underripe or overripe. It's not a boxed product so there's no guarantee that it's going to be the same every time. Unlike when you go to the store, you are committing to buy things sight unseen. However for the convenience and the price, it is certainly worth trying. I have no doubts that I will try it again. I just wish that they had a notes area where you could leave notes for the person picking your produce. 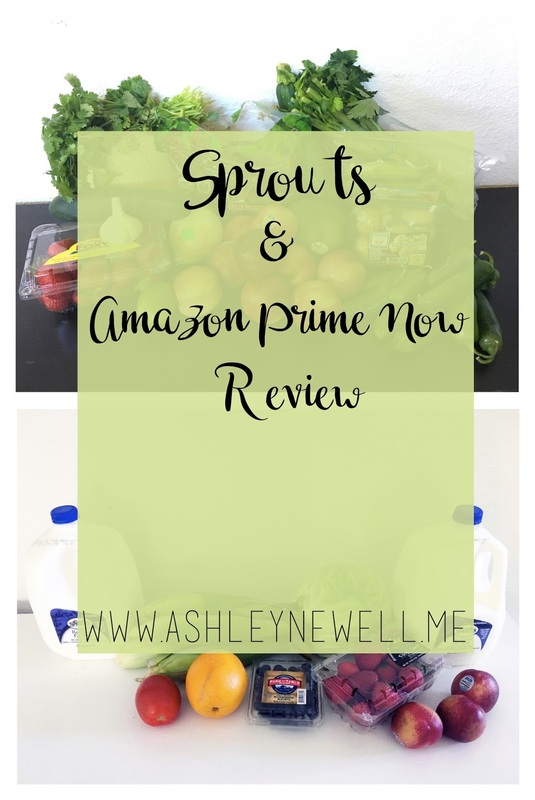 Have you tried Amazon Prime Now with Sprouts? What did you think about it? Let me know in the comments if this is a service you would use. I'd heard about this service but haven't tried it. Thanks for testing it out! It sounds like it would be really handy for some items- I might be hesitant about others. Great info! Wow I didn't even know this existed on Amazon! I'll definitely be trying this out soon! I've had the same thing happen when I ordered from my local grocery store. They brought me a pint of blueberries when I ordered blackberries and when I told them, they refunded it and brought me frozen blackberries instead of fresh. I still think that this type of service has a way to go before it gets the kinks worked out. I've heard so much about this... It's certainly an awesome concept but there's some kinks to work out! Still... I'm pretty impressed and in love as a busy mama! !